Our team at TLCU have been hand-picked not only for their specialised knowledge and expertise, but also for their passion and commitment to their jobs, and to you, our clients. So let’s meet the team! 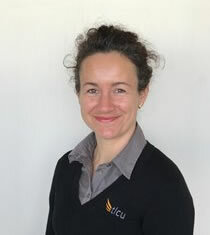 Belinda has been a part of the TLCU team since 2006 and really enjoys the family work environment, having previously spent 4 years working in other areas in the healthcare sector. Belinda’s role is to provide an efficient and effective level of management & co-ordination of practice operations. She really enjoys being surrounded by inspirational people, and seeing that the work of the amazing TLCU staff, does make a difference to people’s lives. Outside of the office… Belinda is all about enjoying her family life, with her husband and young son. She enjoys the beautiful Perth beaches and takes her role as a family sports supporter seriously. Just between us… Belinda is secretly a scrapbooking enthusiast and is obsessed with K-Mart, organisation and Ice-cream, in that order! 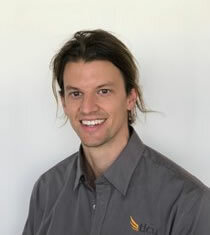 After graduating from LaTrobe University in Melbourne, Braden worked there briefly before moving to Scandinavia where he worked as a prosthetic technician in the south of Norway for two years. Braden loves working with the TLCU team and finds the field both stimulating and rewarding, and is excited at the prospect of working in the new TLCU motion lab and enjoys staying up to date with current prosthetic technologies. Outside of the office… Braden fancies himself as Perth’s best barista! Just between us… He is much better at drinking coffee than making it! Jonathan shares responsibility for all aspects of the manufacturing and finishing of prosthetic and orthotic devices at TLCU, and with over 10 years of experience in the prosthetic industry and 5 years experience in die setting, he brings unique experience to the team and enjoys the ever changing nature of work at TLCU. Jonathan’s passion is helping implement the new computer design and milling technologies. 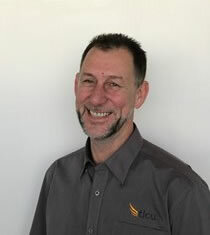 Outside of the office… Although Jonathon enjoys all things technical, when the office is closed he is an avid renovator and motorcycle enthusiast. Just between us… If Jon was a vegetable he would be a beetroot (you can figure that one out for yourselves) and he’s a sucker for a good looking motorbike. of prosthetic needs. Janet has a special interest in women amputees and unusual styles of prosthesis and considers the TLCU team a second family. Outside of the office… Janet is married to a keen angler and is mum to three adult children, is a keen gardener and a bit of a community activist. She loves movies, good food, a great conversation… and of course friends and family! to achieve their lifestyle and hopes all her clients get as much out of the sessions as she does! Outside of the office… Claire is an outdoor-loving adventure seeker, cyclist, foodie, and friend – so basically she does it all! Just between us… Claire has a great sense of humour and loves a good belly laugh, and if she was a vegetable she’d definitely be a broccoli – just look at the hair! Lucy is our well loved and doted on relationship manager. She is a 3 year old Bull Arab and in theory she’s also the security manager but she’s far more likely to be sleeping, getting cuddles or following Mark around the place. Sleeping is definitely Lucy’s favourite part of the job. Outside of the office… Lucy can be a bit of a nut case and really loves the dog park. And food… She really loves food. Just between us… one of Lucy’s favourite perks of the job is being allowed to finish drinking Mark’s cup of coffee out of his cup. What a good doggie Dad she has there! Mark has been working in the Prosthetic and Orthotic industry for over 40 years and has travelled the world mastering skills in high-end prosthetic components such as the microprocessor and Myoelectrics. 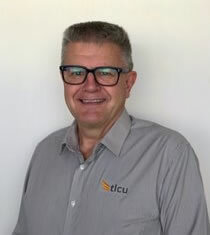 He brings to TLCU expertise in both clinical practice and business management as owner and manager of the business, and his international reputation puts him in high demand for training and assisting prosthetists in other countries with their manufacturing and clinical techniques. Outside of the office… you’ll find Mark tinkering on his boat, sharing his time between the business, family, and being captain on the water. Just between us… Mark secretly loves work mainly because he is the boss! And he’s a sucker for Ebay and Graysonline. 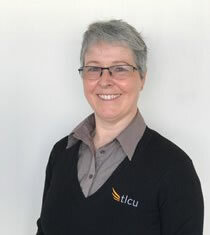 Rachel has been with TLCU for 13 years and has worked in administration roles for close to 30. 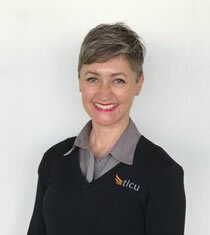 She loves working with the TLCU team, whom she considers as “Perth’s finest human beings”, as everyone shares the common goal of improving the lives of others. 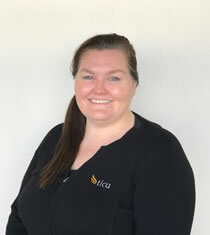 Rachel’s role in administration, book keeping and financial reporting keeps her busy behind the scenes, so you may not see her very often, but she’s an integral part of the team at TLCU that work hard together and also laugh hard together. Outside of the office… Rachel loves working her dog at the beach, in the bush or at the park. 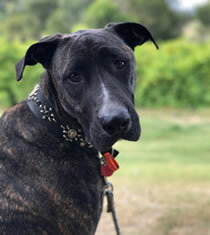 She also likes to cycle through the Swan Valley, near where she lives & stopping to sample the lovely local produce, including some delicious wines. Just between us… Rachel is one of those mad doggie people that can’t walk past one without saying hello, having a cuddle and finding out the doggie’s name.